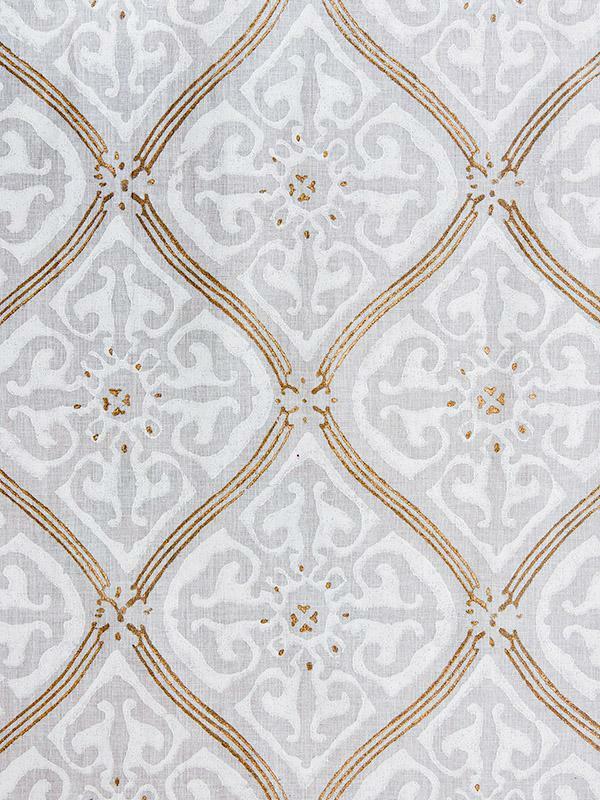 An ethereal white on white ogee print, with pristine white snowflake like motifs elegantly ensconced within delicate strands of gold piping. 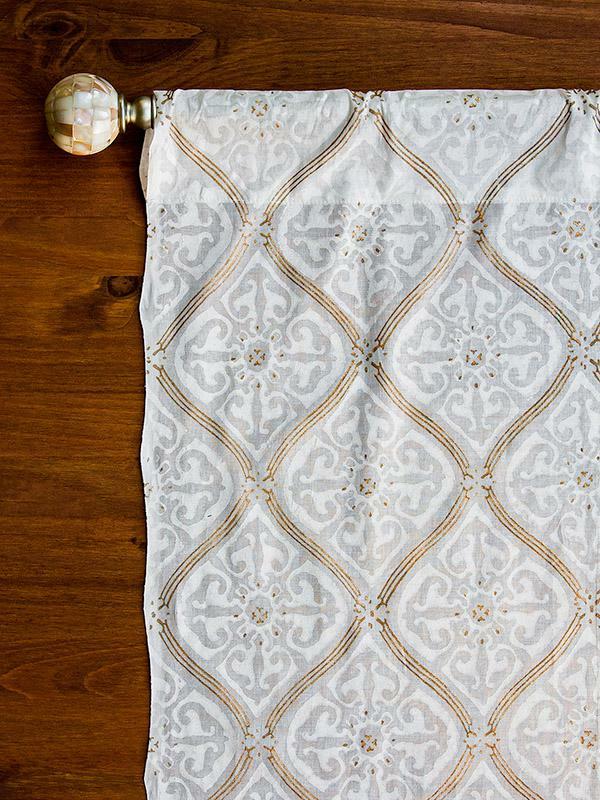 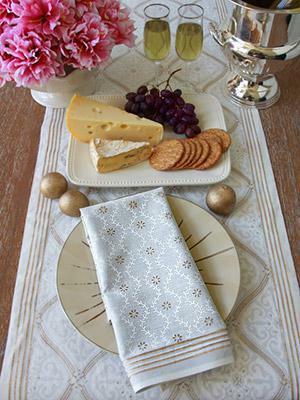 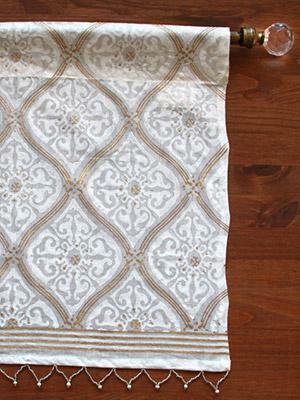 This shimmering white on white kitchen cafe curtain speaks both to ease and elegance. 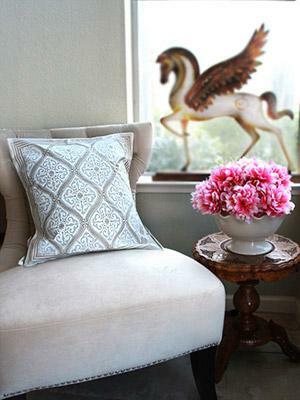 It says ... [ read more ] that you pay attention to detail, but are approachable and open. 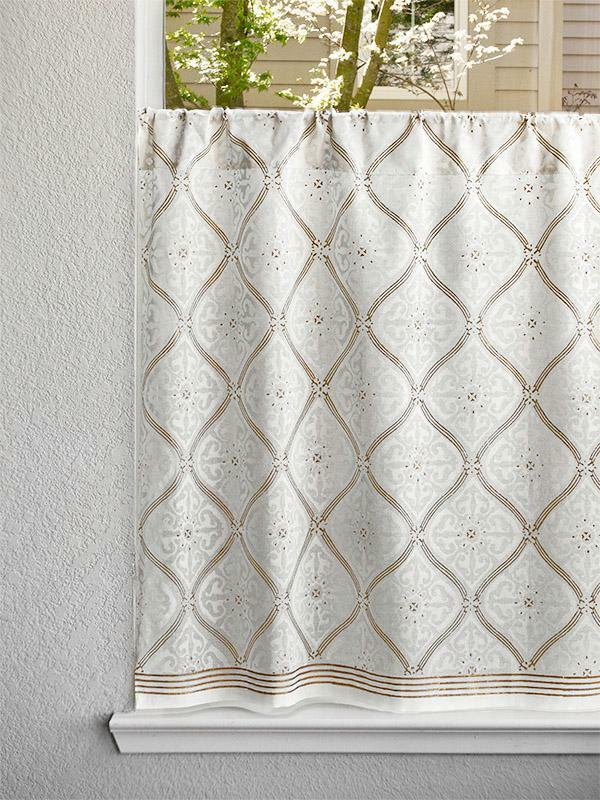 Use this curtain to create a kitchen decor that is a study in subtle contrasts: clean and ornate; simple and sophisticated. 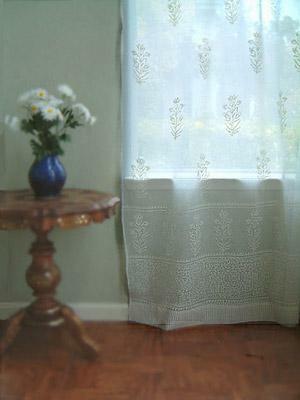 Each curtain is printed on preshrunk, superior grade, soft cotton voile and is exquisitely finished. 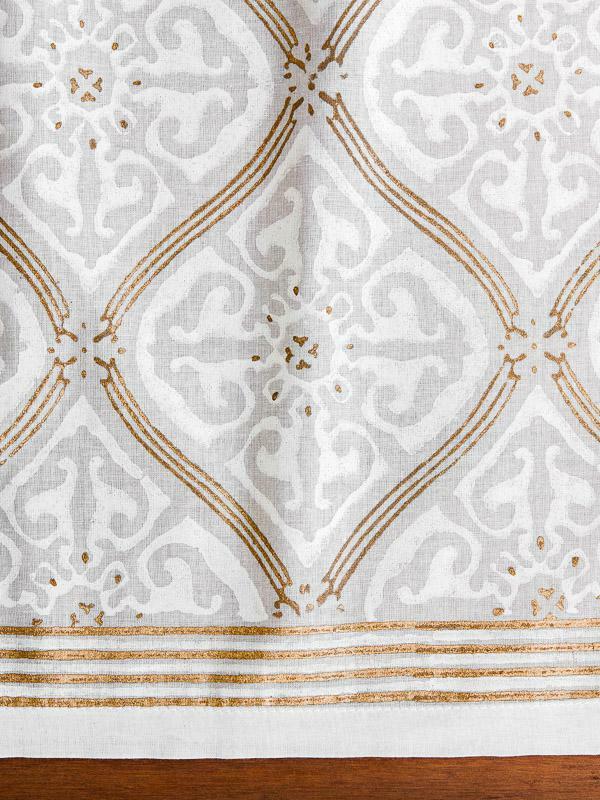 Wash & Care: The use of an overlaid gold paste in this print requires that it be dry cleaned only.